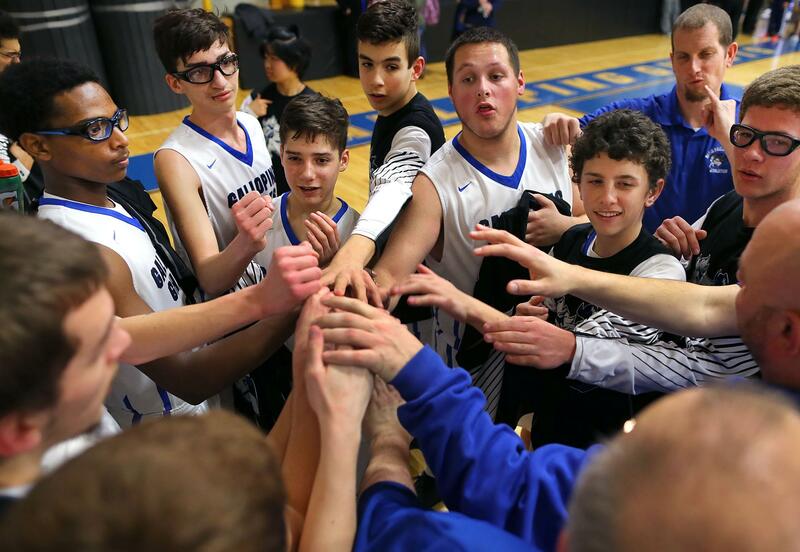 Players and coaches from the Marie Philip School for the Deaf are all in during the Eastern Schools for the Deaf basketball tournament in Framingham. FRAMINGHAM — On the court, and on the bench, and even in the stands, it was quiet. The steady hum of conversation that buzzes, even echoes, through high school gymnasiums on Friday evenings — especially on those rare Fridays leading into a week-long break – was missing from the Schwab Athletic Center. The quiet was not due to lack of excitement. Rather, the 185 deaf or hard of hearing students who attend the Marie Philip School — a modest day and boarding school on Central Street that hosts students ages 3 to 22 and operates under the umbrella of The Learning Center for the Deaf — circle the second weekend in February on their calendar every year. The Eastern Schools for the Deaf Athletic Association (ESDAA), of which Marie Philip is a member, hosts tournaments annually. Last weekend, Marie Phillip hosted the 87th ESDAA Division I boys’ basketball and cheerleading tournament, attracting 10 schools from as nearby as Allston (Horace Mann School for the Deaf) and as far away as Pittsburgh (Western Pennsylvania School for the Deaf). Philip Senior Sean Sandlin (center) is congratulated by Slavik Sukhovtsev (left) and Kacey Monahan (right) during a cermony to present the seniors with commerative plaques. Regular-season games are scheduled against schools for both hearing and deaf students. But the ESDAA tournaments offer a unique opportunity for student-athletes who are deaf to compete on an equal playing field. American Sign Language is the primary method of communication, eliminating the confusion and disadvantages that can arise when rules and in-game nuances are communicated using spoken English. In addition, players and coaches, referees and athletic trainers presiding over ESDAA games are also deaf. “It’s ASL, 100 percent,” said Marie Philip athletic director David Del Pizzo through an interpreter. Marie Philip has netted Division 2 and Division 3 titles in the past, but not D1. The American School for the Deaf (Hartford) was two-time defending champion. Kyle Florio used American sign language to communicate to his coach on the floor after scoring in the first half. In addition to strong competition, ESDAA tournaments offer students the opportunity to socialize with peers from across the country. A packed weekend calendar creates bonding opportunities as students share common meals and room together in area hotels. These opportunities are an important part of Deaf culture, which centers around shared experiences and emphasizes togetherness. The student-athletes are able to connect on social media and form friendships, reuniting every year at ESDAA tournaments and later, in college. “We look forward to it,” said Kacey Monahan, a senior from Bellingham through an interpreter. John Monahan, in his 22nd season as head coach and with 250-plus career wins at Marie Phillip, recalled with fondness on his own experience playing in similar tournaments at a school for the deaf. 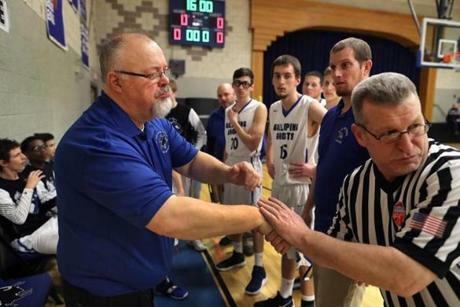 Marie Philip's head coach John Monahan (left) greeted the referee before the start of the game. “As a coach, I want them to have the same experience that I had,” said Monahan through an interpreter. And his son, Kacey, is now doing so. When she arrived at Marie Philip as superintendent three years ago, Jennifer Greenfield was not convinced that the time and money spent organizing the tournament was worth the effort. “I was like, ‘It’s not that important. It’s just an expensive tournament,’” Greenfield said through an interpreter. “And I realized, wow, it’s actually a very important part of being at a school for the Deaf. 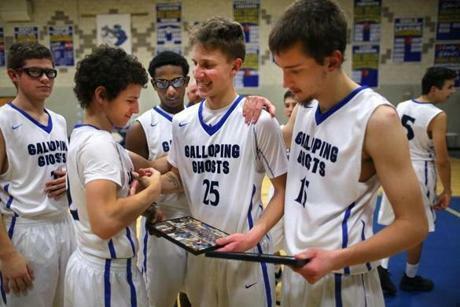 Hosting the this year held special meaning for Rochette, Kacey Monahan, and fellow seniors Sean Sandlin and Bradley Johnstad, who were playing their final games in a Galloping Ghost uniform. A ceremony was held at halftime of their game on Friday afternoon to celebrate their accomplishments. Kacey Monahan hopes to attend Gallaudet University in Washington, D.C., a bilingual private institution that teaches through ASL and English and is a popular choice among Deaf students. 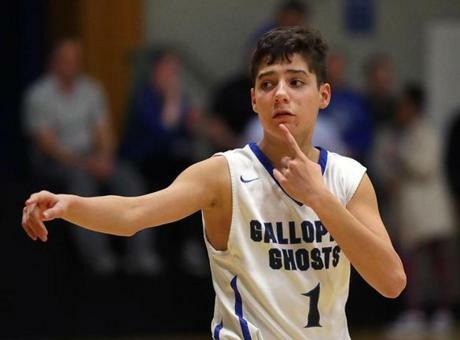 He wants to continue his basketball career either at the school or an area Deaf club — a social hub for the Deaf community. 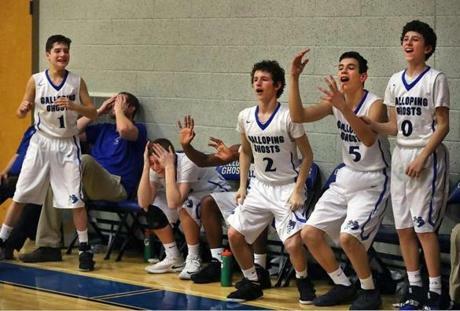 The Marie Philip School players on the bench reacted to a missed basket late in the game. Though the murmurs of conversation were missing over the weekend, the spirit of the Marie Philip community certainly was not. On Friday, stands filled with elementary and high school students were inevitably energized by having been let out of their classes one hour early. The gym was a turbulent sea of blue, the school color. The four-member cheerleading team – including Dakota Rochette’s sister, Shayla, a sophomore — made its way onto the hardwood to entertain the crowd with cartwheels and roundoffs, waving blue and silver pom-poms as the girls jumped and cheered during timeouts. Carrying signs proclaiming their allegiance to the Galloping Ghosts, students threw their hands into the air and let out screams of joy, banging on drums as Marie Phillip rolled to a 54-24 win. By Sunday afternoon, Marie Phillip walked off with a third-place finish after a 60-50 win over the Western Pennsylvania School for the Deaf on Sunday. The Lexington School for the Deaf, from East Elmhurst, N.Y., defeated the American School for the Deaf in the final. But in the end, it was the impact of the tournament on this community, and not the final scores, that mattered the most. “Just having everyone feel like they are able to access everything through the language, this is it,” Del Pizzo said. 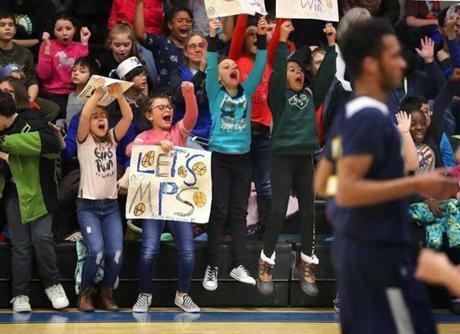 Learning Center for the Deaf students in Framingham cheer on a basket by Marie Philip in the first half of last weekend’s tournament game against the Horace Mann School.